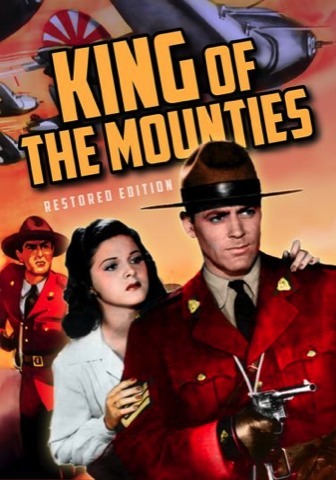 Sergeant King of the Mounties faces three high-level agents, one from each of the Axis powers, who harass the Canadian population with bombing raids by a vertical-takeoff plane that takes off from their volcano headquarters and seems to come from nowhere. A print of this serial with full audio has not yet been available so all missing music and sound effects have been replaced in this edition and subtitles added for missing dialogue. Watch the sample chapter to see the final effect. 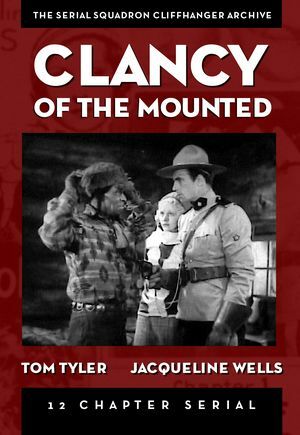 Mountie Sergeant Tom Clancy is assigned to bring his brother Steve, who has been framed for the murder of a mine owner, to justice. 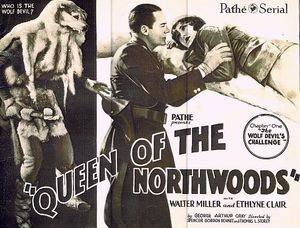 Villains LaRue and MacDougal menace the mine owner's daughter. Excellent quality picture and sound throughout. Ch. 1 fully restored shot by shot and stabilized, audio on all chapters restored & strong & clear, picture is pure black and white and very sharp. 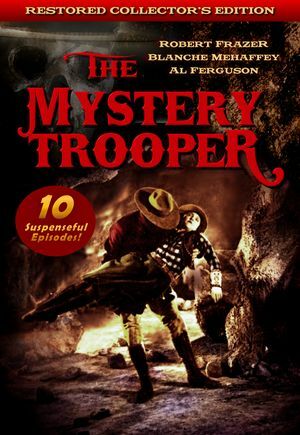 A masked Mountie intervenes when a gang of crooks attempt to steal both halves of a map which will reveal the location of a gold mine. The two heirs are assisted by a wild horse and a trusted Indian friend.